Monogrammed R.D.R. lower left corner. 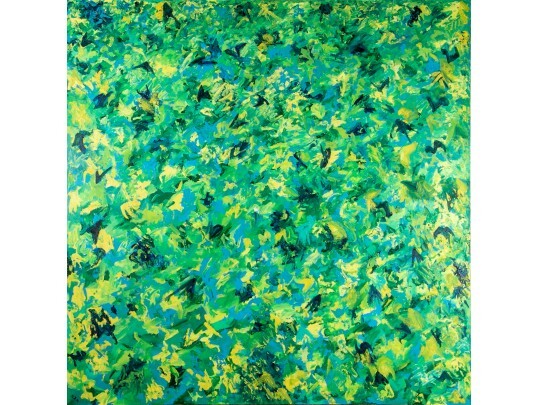 An abstract in turquoise, green, yellow and black.